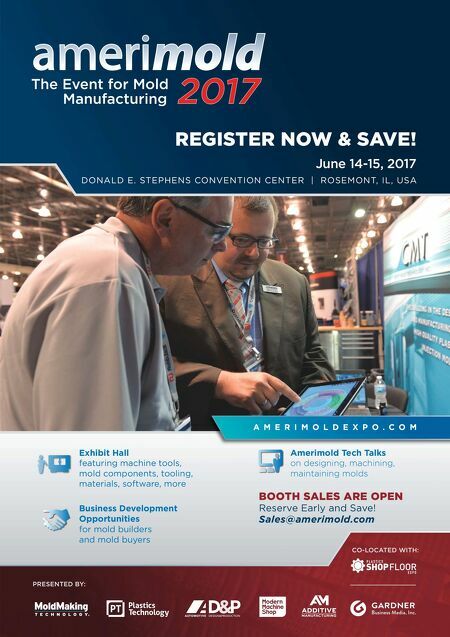 June 14-15, 2017 PRESENTED BY: Business Development Opportunities for mold builders and mold buyers Exhibit Hall featuring machine tools, mold components, tooling, materials, software, more Amerimold Tech Talks on designing, machining, maintaining molds BOOTH SALES ARE OPEN Reserve Early and Save! 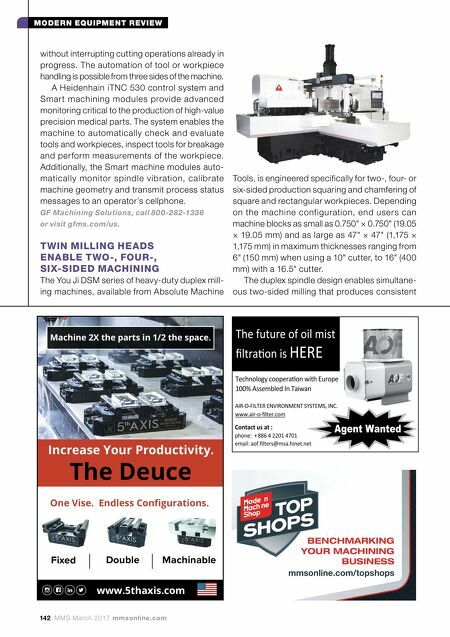 Sales@amerimold.com A M E R I M O L D E X P O . C O M DONALD E. STEPHENS CONVENTION CENTER | ROSEMONT, IL, USA CO-LOCATED WITH: REGISTER NOW & SAVE!